Throughout his career, this world-renown architect and designer has experimented with a wide range of materials. Arad's exploration has demonstrated how the use of specific materials affects structure, appearance and the perception of a unique form. The introduction of silicone and acrylic Oh-Voids will conclude Arad's 5-year work-in-progress. Elements of color and transparency are key. With both chairs the interior structure is apparent; mass rather than volume becomes the focus of the sculptural form. The silicone Oh-Void has a clear transparency with a visible steel skeleton. The acrylic Oh-Void is composed of sculpted laminated slabs of clear and red acrylic revealing the entirety of the adhesive layer. The result is a transparent fluid form that casts a colored shadow. Both new limited editions of 6 are, in fact, Arad's first attempts with each medium. Arad's new highly polished anodized Blo-Voids will also be featured. Made in a super-plastic aluminum that is mold blown and welded to a woven aluminum mesh fabric, the resulting forms are all unique; some are concave while others are convex, some have voids, others do not.. These mirror-polished aluminum forms are done in various tints and colors, achieved by anodizing and a secret tinting process. Arad's Oh-Voids are included in the permanent collections of, among others, the Stedelijk Museum, Amsterdam; Musée National d'Art Moderne/Centre Georges Pompidou, Paris; Vitra Design Museum, Germany; Manchester Art Gallery, England; and The Design Museum of Ghent. The Oh-Void series has been exhibited in museums and galleries in cities worldwide, including Milan, New York, London, Maastricht, Indianapolis, and Miami. In addition, the Pompidou Museum in Paris and the Stedelijk Museum in Amsterdam have announced solo exhibitions of Arad's work in 2008. 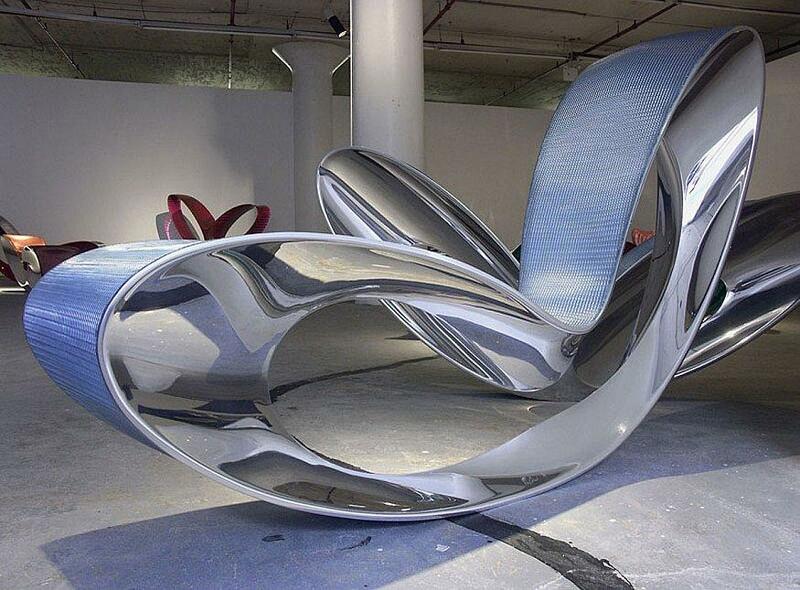 The first Oh-Void chair was exhibited in Milan in 2003. Made in carbon fiber, Arad's interest at that time was in making a large form that was strong, yet incredibly light in weight. A year later, adhering to the shape and morphology, the Corian® Oh-Void was made. Monochromatic Corian® slices were bonded to each other by a contrasting colored adhesive, machined and polished to reveal a contoured landscape. These voluminous pieces are incredibly heavy, a few hundred pounds in weight, and stunningly beautiful. Blo-Voids and Lo-Voids followed in Barry Friedman Ltd.'s 2005 exhibition. This exhibition follows Arad's critically acclaimed site-specific installation, Paved with Good Intentions last December during Art Basel Miami 2005. A series of 69 unique mirror polished stainless steel tables formed an undulating network of paths across the floor of the gallery and continuing up the walls. 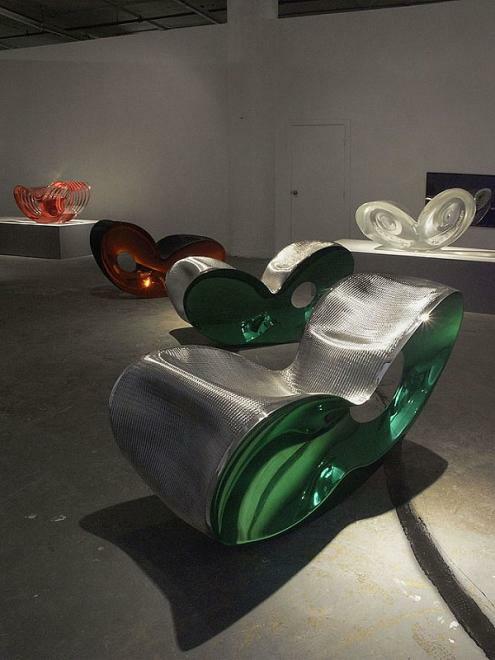 Active in London for more than 30 years, Ron Arad was born in Tel Aviv in 1951. After studying at the Jerusalem Academy of Art (1971-73), he moved to London to study at the Architectural Association in London (1974-79). 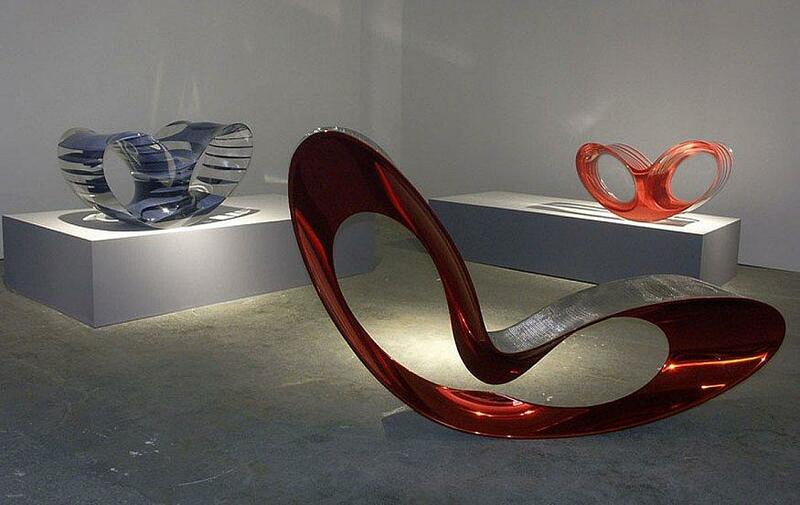 In 1981, Ron Arad and Caroline Thorman co-founded the design studio "One Off Ltd.," and in 1989, they established 'Ron Arad Associates'. He was professor of Design at the Hochschule in Vienna from 1994 to 1997, and is currently head of the Design Products Department at the Royal College of Art.